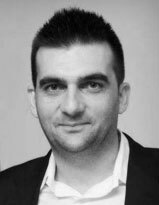 Thomas Dimopoulos is PhD candidate at Cyprus University of Technology at the Department of Civil Enginering & Geomatics. He holds an M.Eng. in Rural and Surveying Engineering from Aristotle University of Thessalonica, a MSc in Real Estate from Oxford Brookes University and an MPhil from Cyprus University of Technology. He is chairman of RICS Cyprus (Royal Institution of Chartered Surveyors) and member of the board of the Association of Property Valuers in Cyprus. Besides his work in several companies in Cyprus and abroad, he is the founder of AXIA Chartered Surveyors. He has also published several articles in the wider area of Real Estate. His research and publications have focused on property valuation methodologies, property taxation, geospatial data analysis and Mass Appraisals with the use of Artificial Intelligence and Machine Learning.